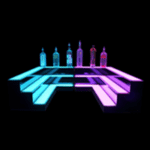 Whether you have a collection of perfumes or a bar stocked with exotic liquors, those striking bottles deserve to live in the light for all to see. 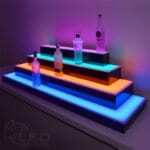 You could set them up on some regular old shelf, but why show off your unusual bottle art with a drab ledge and pedestrian lighting? 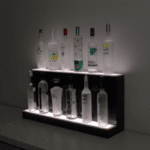 Rather, wouldn’t you rather exhibit them in their best possible form with a bottle display shelf meant to dazzle and bewitch? 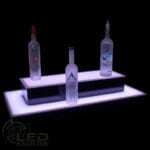 With acrylic shelves lit from below, behind or both, your expensive bottles seem to glow from within. 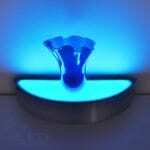 Where spotlights create harsh glare on glass surfaces, your display with built-in LED lights eliminate the harsh reflection and softens the perspective. 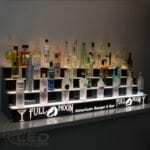 This has the beneficial effect of allowing the viewer to take in all the fine features of exquisitely-designed bottles. 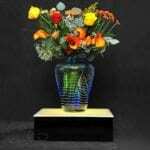 The unconventional aspects then come forward in their glory for everyone’s appreciation. 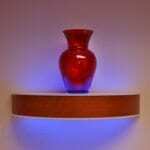 With the ability to custom order your shelves, you can create a display that fits your space to perfection. Do you have a full-service bar? 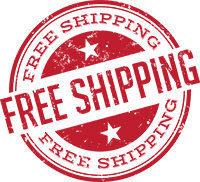 You may like to order return tiered shelves that wrap around the corners for a three-sided display. Maybe your set of attractive bottles takes up little room and would mesmerize on a floating shelf attached with hidden brackets on a wall. Would a long counter proudly suit an extended, single-platform shelf? Do you have corners on your bar devoid of interesting artifacts? 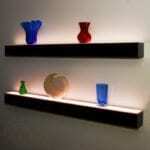 Then you may enjoy shelves created especially for those angled contours. A free-standing island shelf arrangement can take center stage in the right environment. 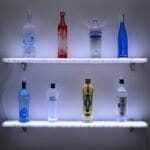 With the variety of options available, you do your stock of fascinating bottles a great disservice by simply arranging them on dark or over-lit shelving. 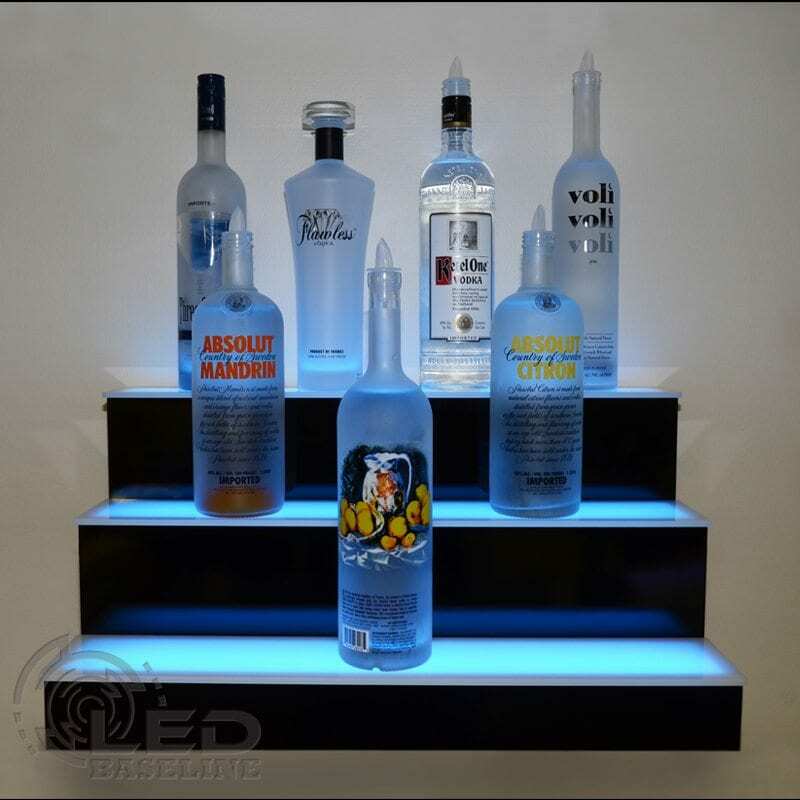 Fortunately, with an LED lighted bottle display shelf, you can enhance your beautiful treasures with a wash of brilliance and any color that best serves the visual effect. 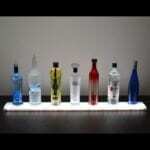 Design your custom bottle display shelf today at https://www.ledbaseline.com/.